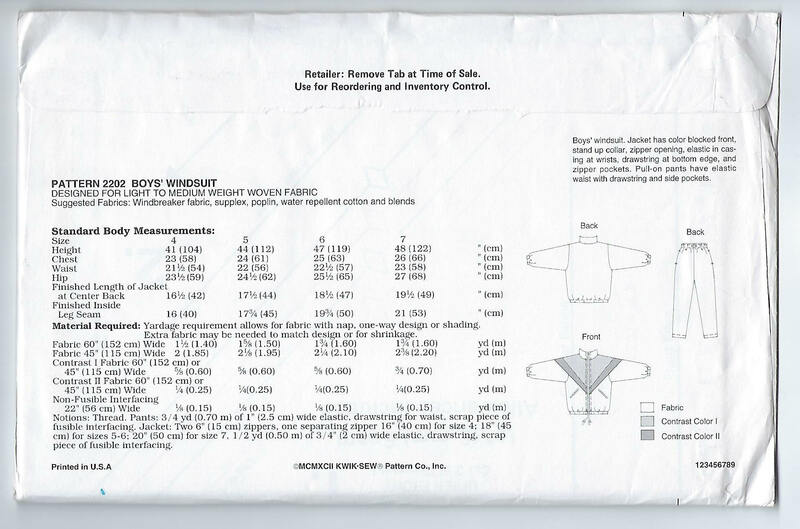 Package contains patterns and instructions to make BOYS Windsuit. 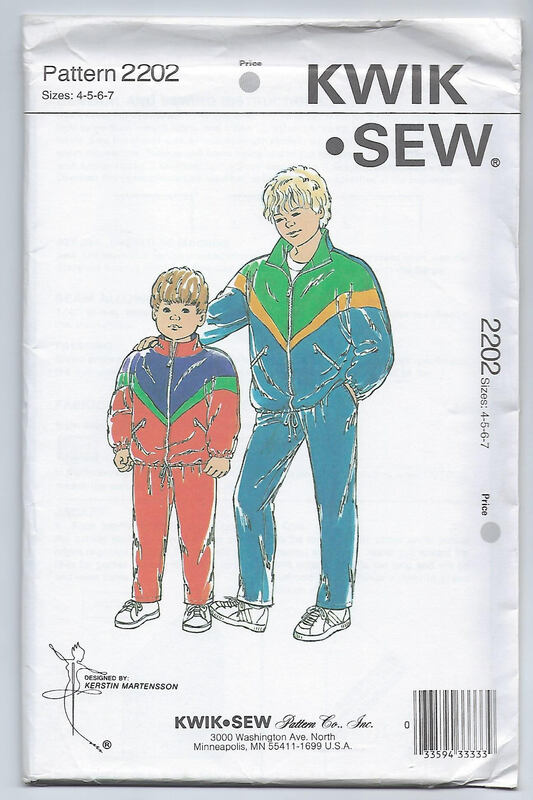 Jacket has color blocked front, stand up collar, zipper opening, elastic in casing at wrists, drawstring at bottom edge, and zipper pockets. Pull-on pants have elastic waist with drawstring and side pockets. For Light to Medium Weight Woven Fabric. Designed by Kerstin Martensson.